Start-up: a story celebrates graduates who are turning their business idea into reality. Their stories give a rich insight into the realities of starting up and the important contribution of our graduates and universities to society and the economy. With economic growth high on the national agenda and employment rates under scrutiny, universities and their graduates have a central role to play in realising Government ambitions. Students want to ensure that their degree and time at university will help set them up for a rewarding and fulfilling career. These are stories of talented and determined graduates; some knew they wanted to start a business and chose their university and course accordingly, others came up with an idea while at university. Each found the support they needed through their course, student enterprise societies, lecturers, friends and university enterprise teams to make it a success. These stories illustrate that a successful graduate outcome is no longer constrained to securing a ‘graduate job’. Instead, students and graduates are creating jobs for themselves, and others, that fully utilise their expertise and abilities. Nacue’s flagship Student Enterprise Conference brings together students from across the country and this year was held at Nottingham Trent University. We took the opportunity to interview some of the students and were inspired and challenged by what they had to say. Hear from them about starting-up, university, their top tips and what they love about running a business. 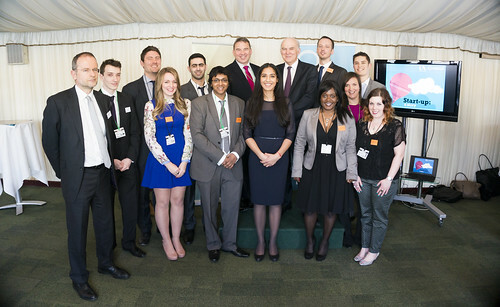 On the 16th April 2013, we held a reception in the Houses of Parliament to celebrate the launch of this project. The reception was kindly hosted by Paul Blomfield MP and we were delighted to have the Rt Hon. Vince Cable MP as the keynote speaker. The reception brought together successful and aspiring student entrepreneurs, those involved in running university incubation centres and enterprise support, businesses, Parliamentarians and others with an interest in supporting entrepreneurs. To read more about the event, please see our blog post. To see the photo gallery of the event, click here. University Alliance brings together the most innovative and entrepreneurial universities in the UK – major institutions combining science and technology with a focus on delivering for the professions, business and the community. Nacue is a non-profit with a mission: to build the most enterprising generation ever known. We're awakening the entrepreneurial potential of students and graduates all over the UK.